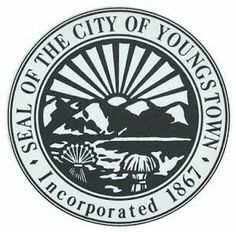 Youngstown is located on the Mahoning River, approximately 65 miles (105 km) southeast of Cleveland and 61 miles (100 km) northwest of Pittsburgh. Despite having its own media market, Youngstown is often included in commercial and cultural depictions of both Northeast Ohio as well as the Pittsburgh Tri-State Area due to these proximities. Youngstown lies 10 miles (16 km) west of the Pennsylvania state line, midway between New York City and Chicago via Interstate 80. The city was named for John Young, an early settler from Whitestown, New York, who established the community's first sawmill and gristmill. Youngstown is in a region of America that is often referred to as the Rust Belt. Traditionally known as a center of steel production, Youngstown was forced to redefine itself when the U.S. steel industry fell into decline in the 1970s, leaving communities throughout the region without major industry. The city has experienced a decline of over 60% of its population since 1959. Youngstown also falls within the Appalachian Ohio region, among the foothills of the Appalachian Mountains.